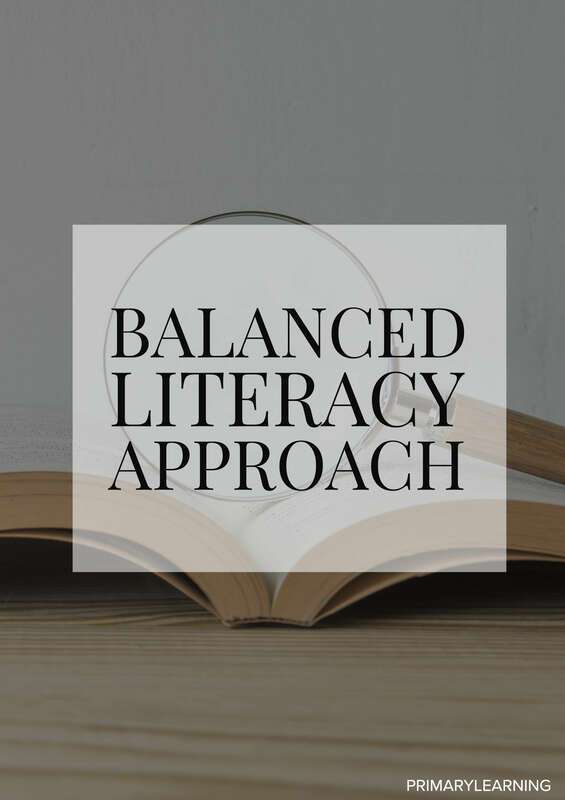 A balanced literacy approach integrates reading, writing, and word study components. It aims to provide a balance of teacher-directed instruction and student-centered opportunities. Balanced literacy approach provide instruction using whole group, small group, and independent learning opportunities. Educators utilize authentic texts to provide meaningful and engaging reading, writing, and word study activities. Reading instruction is provided through multiple methods: read alouds, shared reading, guided reading, close reading, and independent reading. Writing instruction includes opportunities for modeled writing, guided writing, and independent writing. Lastly, word study focuses on letters, sounds, and words, including vocabulary, phonics, and word-solving strategies. Read alouds occur when the educator selects a text and reads it aloud to students. Books should be chosen with intentionality, keeping the purpose of the read aloud in mind. Educators can choose from a variety of texts, including picture books, big books, poems, and novels. 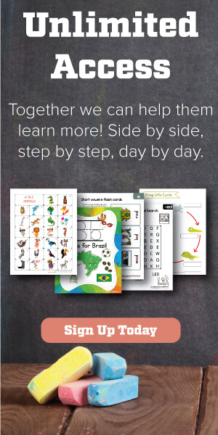 Read alouds can be used to teach a variety of skills and strategies. For example, an educator may choose a book with rich description to focus on the concept of visualization. Pausing at specific points in an exciting story can provide opportunities for students to work on making predictions. A book with an excellent use of adjectives and adverbs can be used as a mentor text when teaching students how to add details to their writing. Questioning and critical thinking skills can be modeled as the educator pauses during the reading and “wonders” out loud. Read alouds also provide opportunities to expose students to a variety of genres. By setting these specific purposes for read alouds, educators can use texts to introduce or reinforce concepts being taught in the reading, writing, and word study components of their program. Shared reading is a more interactive activity, where students are given the opportunity to join in on reading the text, or portions of the text. The role of the educator is to model fluent, expressive reading. Because the educator is involved in the reading, students are able to access texts that may be beyond their independent reading level. During shared reading, it is essential for all students to have access to the text. This may take the form of a poem or chant written on chart paper, that all students can see. Big books are also ideal for shared reading. Or, it may be necessary to provide each student with a copy of the book being read. Shared reading can begin with the educator reading the text aloud, with students following along. This allows for modeling of fluent reading and the use of expression. During subsequent readings, students are invited to join in. For example, they could be reading a poem, reading a line that is repeated throughout a story, or reading the last word in lines of a rhyming text. The text being used for shared reading can be revisited more than once, over subsequent days. Like read alouds, shared reading can be done with a specific purpose in mind. For example, if students are reading a poem written on chart paper, word study can be integrated into the activity by having them find the rhyming words. Similarly, shared reading can be used to discuss punctuation such as periods, exclamation marks, and question marks. The texts used for shared reading can be incorporated into writing, with students using the shared text as a model for their own writing. Guided reading sessions include a pre-reading, during reading, and post-reading component. The pre-reading component may include previewing the book by reading the title, looking through the pictures, and making predictions. The educator may choose to review vocabulary or structures that students may find challenging. During reading, students read independently while the educator provides support. The post-reading component of the lesson may highlight observations the educator made during reading, such as how a student solved a word, the way someone read with expression, or how a student went back and corrected a mistake. The post-reading component should also include a discussion related to the meaning in the text, such as comprehension, inferencing, or confirming predictions. During close reading, a text is revisited multiple times, with a focus on exploring its deeper meaning. Educators choose texts that offer more complex plot lines and rich vocabulary, along with messages students can learn from. Simple texts do not offer themselves as well to close reading, since the text will be explored over several days. Close reading may take the form of a read aloud, guided reading, or independent reading, depending on the age and reading proficiency of the students. The educator sets the purpose each time the text, or a specific portion of the text, is listened to or read. For example, students may be asked to connect their prior knowledge and experience to the text, to listen for challenging vocabulary, or to identify stated versus implied information. During independent reading, each student is reading a text, either of his choosing or within parameters set by the educator, with little to no assistance. For example, each student in a small group may be reading a novel as part of a book study. Or, the educator may have asked students to select a piece of non-fiction to read. Independent reading can also be a time when each student has selected a text to read purely for enjoyment. Shared writing in an interactive experience where students contribute to the writing, either in a small or whole group setting. The educator acts as the scribe and records the students’ ideas. The writing is done in front of the students, which allows the educator to focus on different teaching points throughout the process. For example, when constructing a letter together, students offer ideas and the educator may pause to ask about adding punctuation or uppercase letters. Or, the educator may have students stretch out an unfamiliar word to learn its spelling. Other concepts, such as word choice or paragraphing, can also be taught through shared writing. Because the educator facilitates the activity, shared writing allows learners of varying levels to participate. Like guided reading, guided writing is a small group activity where students have some independence, with the support of the educator available. The educator creates the small group by selecting students who can all benefit from the writing concept or strategy being explored. For example, a group may be created to work on the use of quotation marks, composing sentences of varying lengths, or adding description through the use of adjectives and adverbs to their writing. Students work on individual pieces of writing, with the educator leaning in to offer advice or reminders when needed. Independent writing provides students with the opportunity to use the skills and strategies they have learned to compose individual pieces of writing. They write independently, with little to no assistance from the educator. Educators may provide students with a topic or genre, such as writing a newspaper article or a narrative. Or, students may be given the freedom to select a topic and format for their writing. Independent writing may follow the process of brainstorming ideas, composing a draft, revising and editing, then publishing the final product. During modeled writing, students take on the primary role of watching and listening, as the educator does the writing. The purpose of modeled writing is to allow students to observe the thought processes that occur as one writes. Once a skill or strategy is modeled by the educator, students can then participate in their own purposeful practice. The educator may use chart paper, so all students can see the writing. Modeled writing can be used for a variety of purposes, such as demonstrating grammar and convention skills, composing a summary, or determining when to start a new sentence. The educator thinks out loud, so students gain an understanding of the writer’s actions. Unlike shared writing, students do not contribute ideas to the writing, and instead, focus on learning from the skills and strategies being modeled. Unlike more traditional spelling programs, word study does not focus on the memorization of random, unrelated words. Instead, it looks at patterns in words that help students develop a larger vocabulary they can both read and write. Word study asks educators to consider where students are currently at in their development and to plan next steps through lessons created with intentionality. Word study is also effective when it complements the reading and writing program. For example, the educator may discover that students are having difficulty solving multi-syllabic words during guided reading. Word study lessons may then focus on root words, prefixes, and suffixes. Or, educators may select a word from a shared reading activity, such as “cat,” then focus their word study on learning to write more words from the “at” family. This allows for authentic learning opportunities that allow students to benefit from the link between reading and writing.